– Room to Breathe blog. Sure luvin’ this early start to another season of spun in the sun! Literally a breath of fresh air for outdoor knitting, spinning, reading, lunching and yard-work activities! Plus, now that winter’s over and spring’s been sprung, I’m snoOow glad to have paused for pics before all the melting was done! Your feedback is important, to me! This entry was posted on April 2, 2017 by knittingwithheart. It was filed under inspirational, iPad photography and was tagged with 10 BIBLE VERSES ABOUT SNOW, Alberta, Canada, Knitting With Heart, KWH iPad Show, march snow, melting snow, Mister Rogers Sweater, Proverbs 31:13, spring, U2 Beautiful Day, weather, winter. Thank you. Loved the pictures. 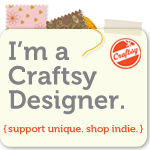 Is Knitting with heart a craft store where your beautiful things are sold? Comments about snow and spring time changes very relevant to us here even though it is Autumn coming into winter. all the chilly winds and then Summer heat. I enjoy visiting your blog. Always something to enjoy and relax thinking about. Cheers! The wild weather continues around here. Announcements have already been made that fruits are going to be extremely expensive this year because the farmers have taken steps to protect the trees from the cold by wrapping them and their precious load and naturally are going to hand off the extra costs to the consumers. Wish I had my own garden!! I keep my fingers crossed for the spring season finding its way to you soon! Sounds like unusual weather for you in March. That’s like where I live in California! Thanks so much for your support here, I really appreciate it! You are welcome, Jackie. Thanks for your support here as well. Well, our weather is about normal for Spring…maybe a bit warm. We do need more rain! Well, the bulk of our rain came in Jan-Feb and it was very plentiful. But it has slowed quite a bit in March. By the end of Apr-May, we won’t see rain again for 5-6 months. Just hope the snow caps on the mountains melt properly so we get the water we need! I hope you are done shovelling snow for the year as well! God does provide, sometimes in abundance! Jackie, I tell you one can get too much of a “good thing!” I feel about all of the sunshine as you do about the snow. I like the seasons change, but there’s just “winter-summer” and “summer-summer” out here in Ca. We were hit with horrific storms and all of the delicate spring buds on the trees were blown off. But now they are starting to make a come back. Spring has sprung, I hope.